The World Health Organization recently declared that the Zika Virus is a global public health emergency. Experts estimate as many as 4 million people could be infected by the end of this year, most of which won’t even display symptoms. 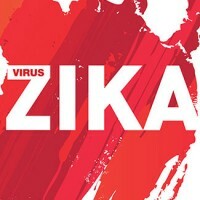 The Zika virus an infection transmitted by mosquitoes, very similar to dengue, yellow fever, West Nile and the chikungunya virus. We have been aware of the Zika virus since 1947 when it was discovered in Uganda, however it primarily affected monkeys and posed little threat to humans. Last May the Zika virus made its way to the Western Hemisphere. Since then it has affected hundreds of thousands of people primarily in South and Central America. Zika Virus symptoms include: Fever, rash, joint pain, conjunctivitis, muscle aches and headaches. It’s important to know that only 1 in 5 people infected with the Zika virus will exhibit symptoms. Mosquito-transmitted viruses are exceptionally dangerous because of how well they spread. The Zika virus is spread through a couple of different types of mosquito, namely the Aedes aegypti and the Aedes albopictus (Asian tiger mosquito). Potential range of the Zika virus is as large as the habitat for these mosquitoes. Even individuals with no symptoms can unknowingly spread the virus if a mosquito bites them. Female mosquitoes generally have a lifespan of about 8-weeks, laying a few hundred eggs every few days. A mosquito will bite as many people as necessary in order to fill their abdomen with blood, afterwards they lay their eggs. This process is repeated until the mosquito reaches the end of its lifespan. This means that one single mosquito will bite dozens of hosts before it dies, assuming it carries the Zika virus, every single person it bites is at risk of being infected. Let’s say someone is on vacation in the Caribbean or South America and is bitten. Then they board their plane home and carry the virus with them. Now they are a host for the virus, every time a mosquito bites them they have the potential to spread the virus even further. You can imagine how quickly a virus like this can spread, reaching far and wide thanks to modern day air travel. Mosquito transmitted viruses are nothing new, recently there was a serious outbreak of the chikungunya virus, yet very few people were aware of it because it didn’t get much media attention. The reason the Zika virus is different is because it poses a serious threat to expecting mothers, potentially causing microcephaly in their unborn children. Microcephaly is a condition that impairs brain development and head size. Usually there are about 150 cases of microcephaly each year, right now Brazil is investigating more than 4,000 cases. Microcephaly is generally caused when a pregnant woman consumed alcohol, has diabetes or is severely malnourished. There is no cure or treatment, just therapies that can help with the consequences of microcephaly. The World Health Organization as well as the CDC have been warning expecting parents to avoid visiting areas that are affected. There is no vaccine or cure for the Zika virus, however health officials are putting serious pressure on the scientific community to develop a vaccine. Even with excellent funding this will take years though. In the meantime, the Zika virus is spreading like wildfire. The best way to protect yourself from the Zika virus is to avoid it altogether. This isn’t always possible though, especially if you live in an affected area. In these cases it’s best to do everything you can to avoid getting bitten by a mosquito. Wearing long, loose clothing and using mosquito repellant are two of the best ways to avoid the Zika virus. Mosquitoes that carry the Zika virus mostly feed during the day, try to push your outdoor activities to later in the day to help reduce your chance of being infected. 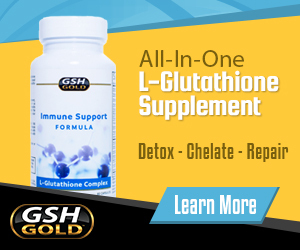 With virtually any disease or infection, a healthy immune system is your best defence. And one of the best ways to promote a healthy immune function is to promote antioxidant activity through a healthy diet, lifestyle and supplement routine. Until the powers that be can come up with an effective cure / treatment for the Zika virus, be very mindful of your outdoor activity. Limit your exposure to these mosquitoes and fortify your immune system.